The constant bombardment of billions of tiny particles from the Sun is shaping the Solar System, studies have shown. As the fine solar shower rains down on objects, such as asteroids, it can steadily alter their orbit and spin. Although the mechanism that describes the effect has been known for many years, it has never been seen. Now, separate studies published in the journals Nature and Science have observed and measured the tiny stellar shoves on two spinning asteroids. They reveal that both are gradually starting to spin faster and faster, which could eventually create new Solar System landmarks. "If we can spin up an asteroid so fast, there's a really good chance that these objects will fly apart," said Dr Stephen Lowry, a planetary astronomer at Queen's University Belfast and lead author of one of two Science papers. In this case, the fragments could form a binary asteroid where two objects orbit each other, he said. "This is a phenomenon that gradually affects the evolution of the Solar System," said Dr Mikko Kaasalainen of the University of Helsinki, who is an author of the Nature paper. The Yarkovsky-O'Keefe-Radzievskii-Paddack (Yorp) effect is named after the astronomers who made key observations that led to the theory. It describes the torque, or rotational force, created when light particles hit the surface of an object, causing it to heat up. "As the heat is re-emitted it exerts a gentle recoil effect," said Dr Lowry. "An analogy would be if there was a child and they threw a ball forward, there would be a slight recoil effect." The theory was proposed in order to explain various Solar System phenomena which show peculiar regular behaviour. For example, astronomers looking at a cluster of asteroids known as the Koronis family, which is located in the main belt between Mars and Jupiter, noticed that the larger fragments spun in two distinct alignments. The cluster was thought to have been the result of a catastrophic collision more than two billion years ago which would have blown erratically spinning fragments throughout the surrounding area. Without the Yorp effect realigning the objects, this random motion would still be seen today. The existence of other phenomenon like binary asteroids can also be explained by YORP. But although astronomers had several clues to the effect's existence, no direct evidence had ever been seen. Now, two teams have analysed separate distal spinning asteroids and have been able to quantify how much their spin is changing. They have also been able to predict the possible future fate of the rocky lumps. A team lead by Dr Lowry and Patrick Taylor of Cornell University used optical and radar telescopes to monitor an asteroid known as 2000 PH5, which makes regular near-Earth passes. At its closest, the 114m-diameter (374ft) lump comes within 1.8 million km (1.1 million miles) of Earth. "As the asteroid rotates, its brightness increases and decreases, which is directly related to how fast it's spinning," said Dr Lowry. By combining four years of optical information with radar to work out the size and shape of the object, the team was able to measure the increasing spin of the asteroid and therefore the size of the Yorp effect acting on PH5. "It currently rotates every 12 minutes and we detected a change of one millisecond per year," said Dr Lowry. "It's a tiny, tiny effect but it's acting over millions of years." The team predicts that over the next 15 million to 40 million years the asteroid will gradually speed up until it is turning over every 20 seconds. At this point, the rocky mass may fly apart forming a cluster of smaller asteroids or a new binary system. 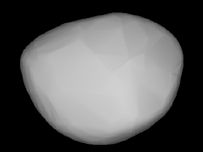 A team from Finland has calculated the changes to another asteroid, 1862 Apollo, a 1.4km-wide (0.9 miles) near-Earth object that is approximately 340 million km (210 million miles) away. Instead of making new observations, the researchers looked at historical snapshots of the object dating back to 1982. From these they were able to extract light information that could be checked against a theoretical model to discount other effects. The result was also suitably minute. "The current rotation period is about three hours and the change is only four thousandth of a second per year," said Dr Kaasalainen. Although both results were almost intangibly small, the implications are much larger, especially for models of the evolution of the Solar System, he said. "We must include this radiation effect because it can transport asteroids between different orbital states and effect their rotation," he said. "We now know the Solar System doesn't just evolve due to gravitation." Dr Lowry also believes it is a key finding for looking back through history. 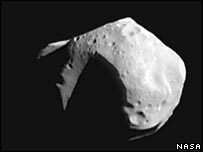 "Asteroids are the leftovers from the start of the Solar System, so by understanding these asteroids, we may get an idea of what the Solar System was like before the planets formed," he said. "I don't want to call it a dawn of a new age of astronomical sciences but this detection will certainly spark a whole range of new studies."